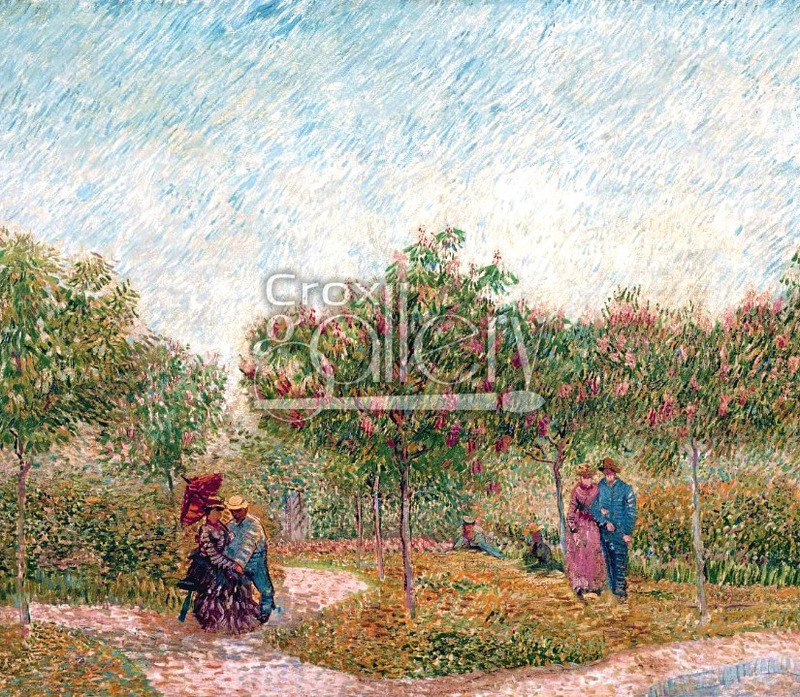 "Garden with Courting Couples" by Van Gogh, Oil Painting Reproduction. 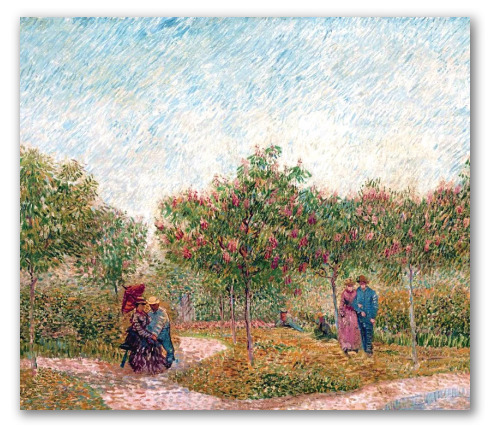 "Garden with Courting Couples" is one of the biggest paintings Van Gogh made in Paris in 1887. He uses pointillism, although his brush strokes are small paint stripes instead of points: adding texture and his characteristic style. The painting is located in Van Gogh Museum, Amsterdam.